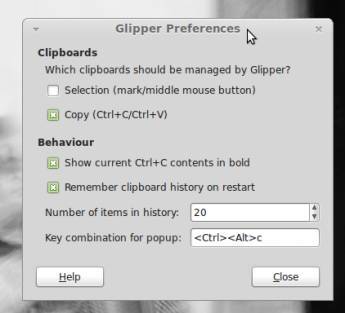 To be able to copy and paste multiple entries with Control + C and Control + V there is an applet for the GNOME desktop panel called Glipper which is a clipboard manager and is available in the default Ubuntu repositories. If it does not show up in your list of applets after installation, restart your system and it should be available. 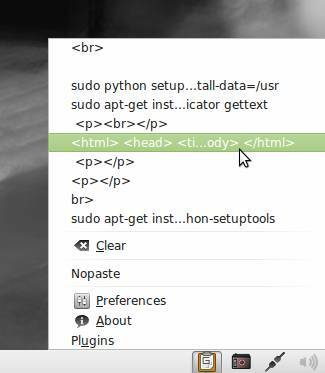 Its menu is accessible over the panel icon and the key combination which is configured in the Preferences menu (Ctrl+Alt+C by default). The top entry is the one that will be pasted on Ctrl+V. To change it, just select another one. In Preferences, you can also configure on what actions selections should be copied into the clipboard, if they should be remembered on system restart and how many entries should be remembered.